Finally Free & Home With the Family! Due to my actions, I have missed so many milestones with my children and grandchildren, I was not home when my wife and family needed me the most. I am remorseful for my prior actions, I apologize to my community, society and most importantly the people & families that I negatively impacted, I am sorry! I also apologize to my wife and children, I know that I have missed so much, by not being physically present. My wife should not have had to raise our children without me, I am so sorry that I could not be there, that my negative choices over 21 years ago resulted in my absence from our family and home. To my family, thank you for your love, support and patience with me. 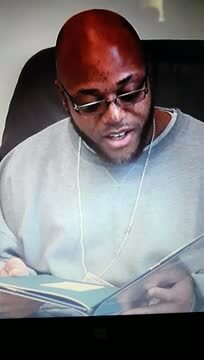 Thank you for your forgiveness, because of your love, I decided to maximize my time while incarcerated, I became educated and most importantly I decided to grow up so I can lead by example. I have served my time, and I am ready to join my family, work, pay taxes and prove that I will never take my freedom for granted, disappoint my family and society ever again, I have chosen to put God first, to be a law abiding citizen and to uphold my responsibility as a free man. I ask for your support, if it is not too much to ask, please write a letter of support to the parole board, ask them to grant my parole. I have met all of the requirements established by my sentencing judge, in addition I've maintained good conduct and institution adjustment. I am ready to be home with my family, but I need your support to ensure that the Wisconsin Parole Commission adheres to the laws of parole timely and fairly. I appreciate you taking the time to hear our story and support my release. I prayed to God that Beverly, my childhood sweetheart, would be my wife, and I thank God everyday for blessing me with such a beautiful, supportive, and loving wife. My wife is my biggest advocate, I pray daily that God will unite us and our family. My absence is truly noted when I talk to and visit with my children and grand children, so I signed up for a program that allowed me to record videos so my family could have a small part of me at home. I record video's while reading books to my children and grand children, then I send the book home so my kids and grand kids can follow along in the book with my video. It has always been important to me that my children and grand children knew who I was, everything I do is because I am trying to get home to make up for so much lost time. Having a bond and a close relationship with my wife, children and grand children is very important to me. I am so grateful to God for blessing me with strong, supportive and loving relationships and bonds with my children. I have been away from home for so long, they can't even remember me outside of prison, but they embrace me, involve me and include me, it feels so good that my kids love me still.